Some long range computer models are showing that this coming winter could be as bad, or even worse than the winter of 2010/11 when record breaking levels of snow were dumped on Sheffield. Last winter was the coldest winter since then with the Beast from the East bringing heavy snowfall to Sheffield on a number of occasions between the end of February and the beginning of April. 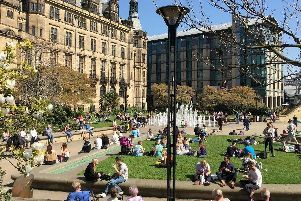 By contrast, the summer just gone was the hottest on record in the UK, with Sheffield basking in weeks of hot and sunny weather during June and July in particular. James Madden, from Exacta Weather, said the country could see some significant snowfall in the run up to Christmas this year. However, the Met Office says there are few signs of the weather turning significantly colder in the coming weeks.